What Happens During Asbestos Abatement? - Ethical Waste Services Ltd.Ethical Waste Services Ltd.
What Happens During Asbestos Abatement? – Professionals use plastic to contain asbestos to small areas. – Plastic sheeting keeps dust with asbestos particles spreading through the rest of the rooms. 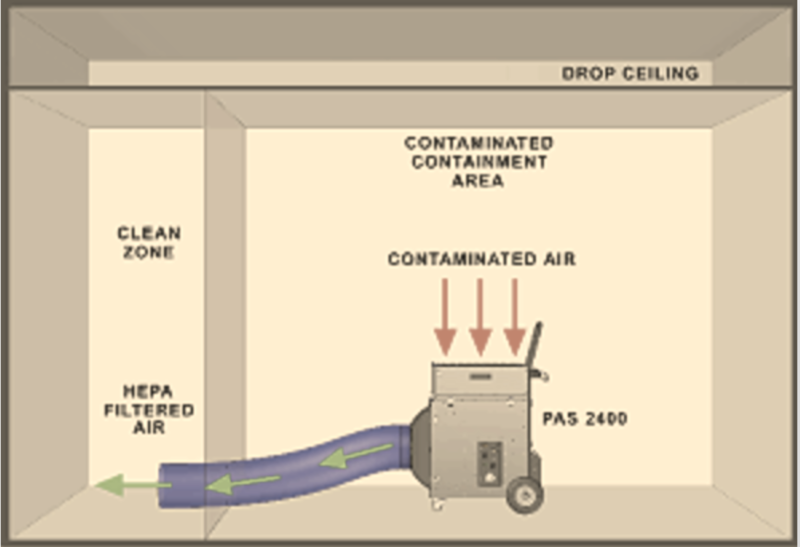 – Helps remove contaminated dust from the work area to prevent it from spreading. – Creates negative pressure so that dust will not escape the work area. – Workers wear specialized protective gear to protect themselves from exposure. – Helps prevent dust to attach into clothes and spreading to other areas. Ethical Waste Services professionally trained staff will carefully deal with any asbestos removal in a safe and effective way.